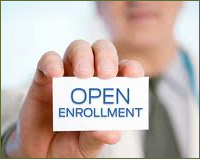 Medicare Open Enrollment will take place mid-October through early-December 2015. Open enrollment is a great time to review your plan to make sure it still meets your needs. Not only do your healthcare needs change, but the plans change over time as well. If we can help you compare your options, please contact our South Euclid office at (216) 291-3902 or our Mayfield Heights office at (440) 442-2628. As a reminder, NEVER give out your Medicare or Social Security number to anyone calling you!